Our terrain model of the Mornington Peninsula for Ten Minutes by Tractor, Terroir Explainer, was a finalist in the 2016 Victorian Premier’s Design Awards. 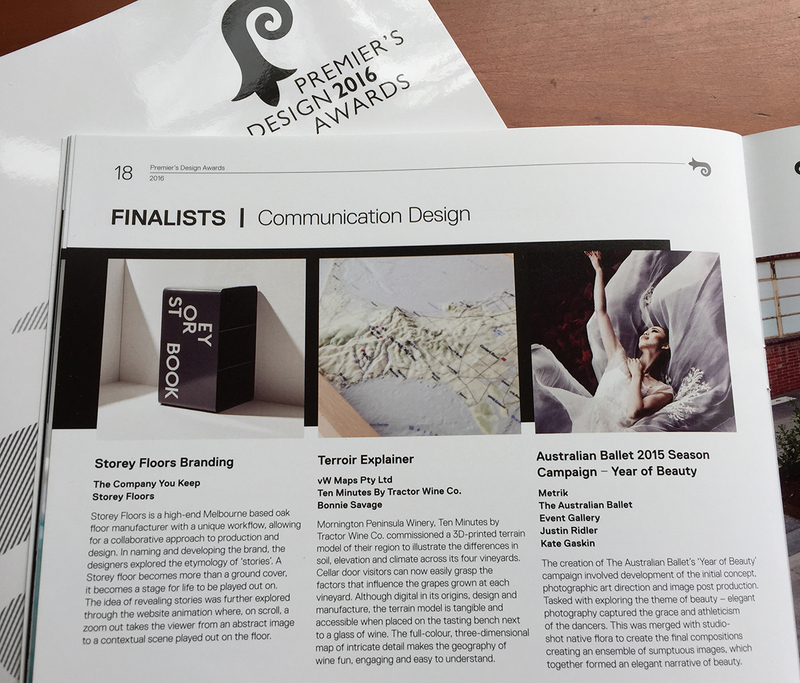 Among the other eight finalists in the Communication Design category were the Melbourne Opera’s marketing campaign, events and installations at the Royal Melbourne Institute of Technology and Monash Art Design & Architecture, and the 2016 Melbourne International Jazz Festival branding. 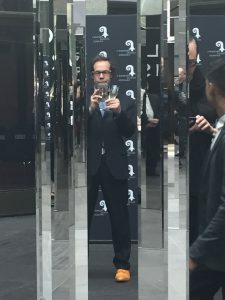 The Communication Design category winner was a towel packaged in a plastic bottle and sold in stores via refrigerators, a marketing concept by the internationally-renowned M&C Saatchi. They have offices in 27 cities around the world and we have …. one desk in one city.